This craft might just be better than coffee and cupcakes! 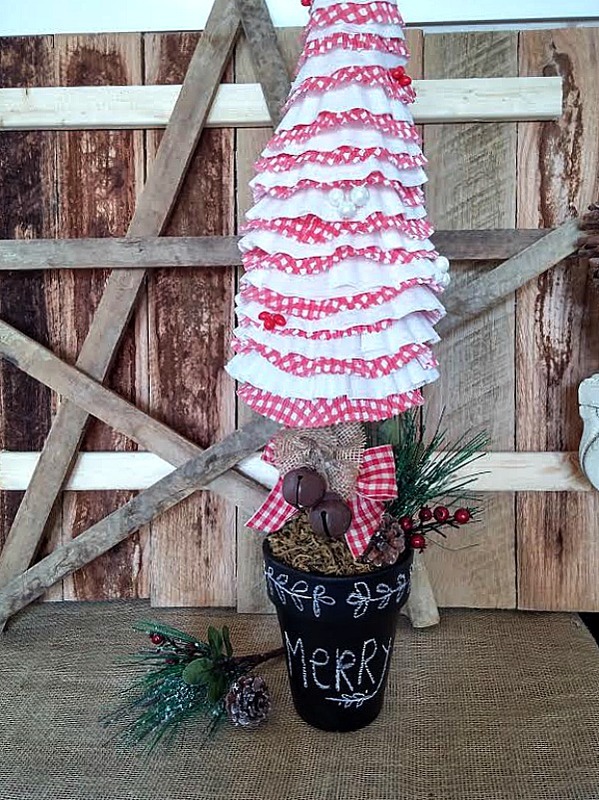 Did you know you can make beautiful Christmas trees using coffee filters and cupcake liners? 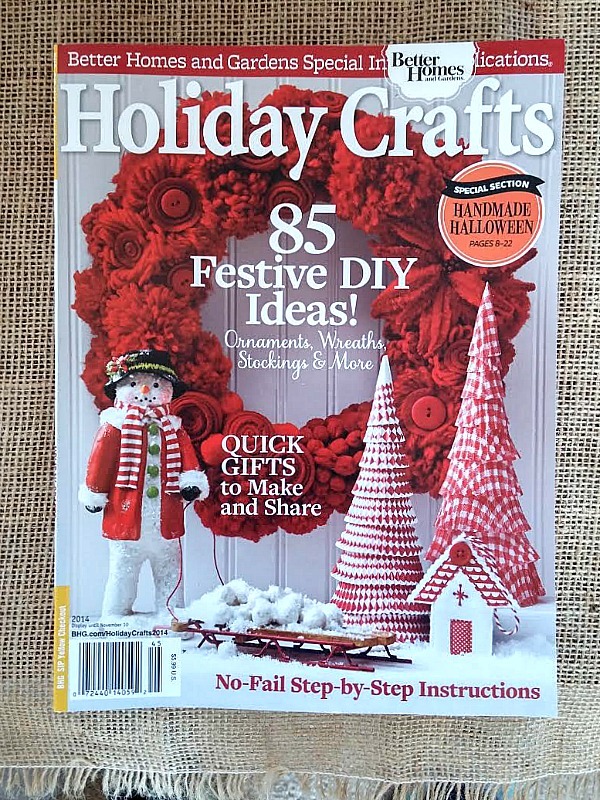 I was inspired by the trees on the cover of Better Homes and Gardens Holiday Crafts magazine. 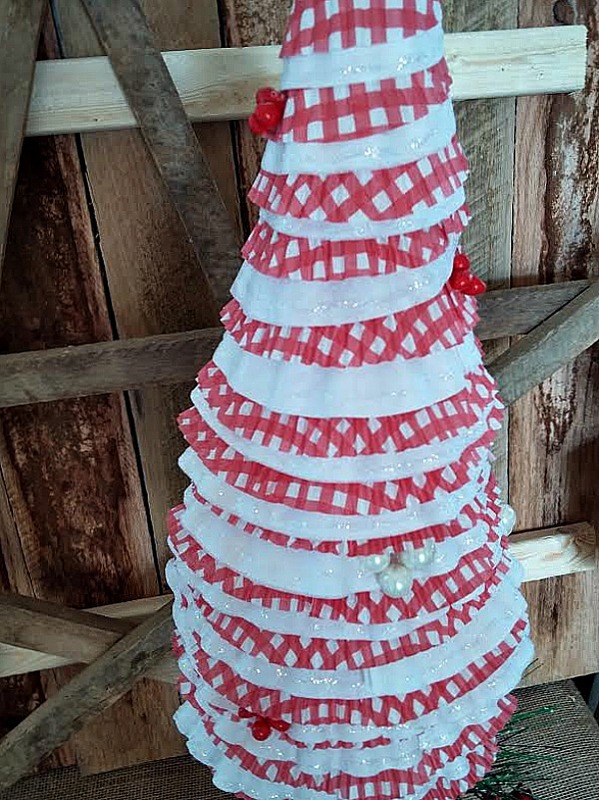 Red gingham just shouts 'country Christmas' to me and is one of my very favorite patterns. 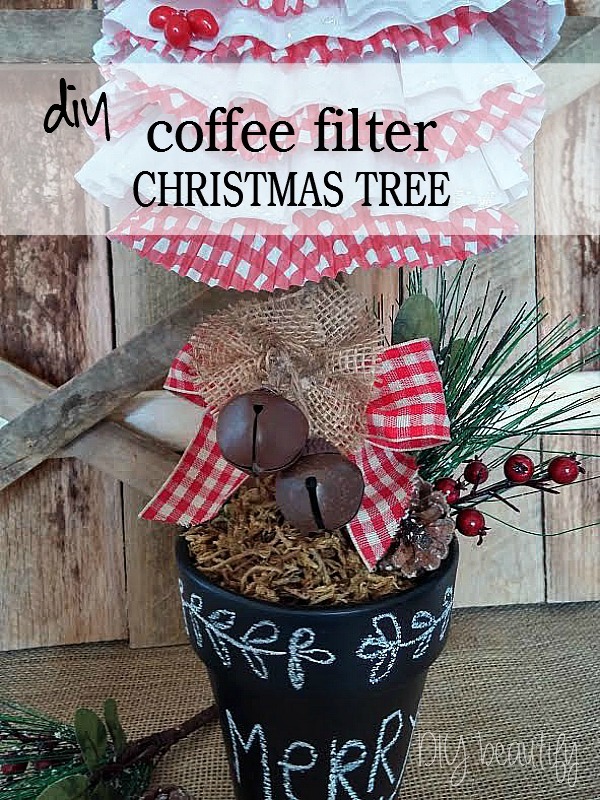 My version of this tree is a little different (adding the coffee filters was my spin) and I couldn't be happier! Affiliate links are included for your convenience. My disclosure policy is available here. Cut the filters and cupcake liners into long strips Do this by cutting into the side and then removing the round center and you'll be left with long, ruffled strips. Cut a lot of strips. That's my way of saying I don't know how many I used. I doubled up my white ones, and I'd estimate I used about 40. I used less of the gingham. Heat a glue gun (and have extra glue on hand). Starting at the bottom of the cone shape, glue the coffee filter strips on (glue the cut edge and let the ruffled edge hang free). Just keep going around, adding overlapping layers, until you finish at the top. Then you will glue the gingham strips on, in between the coffee filter layers. It adds extra fullness. 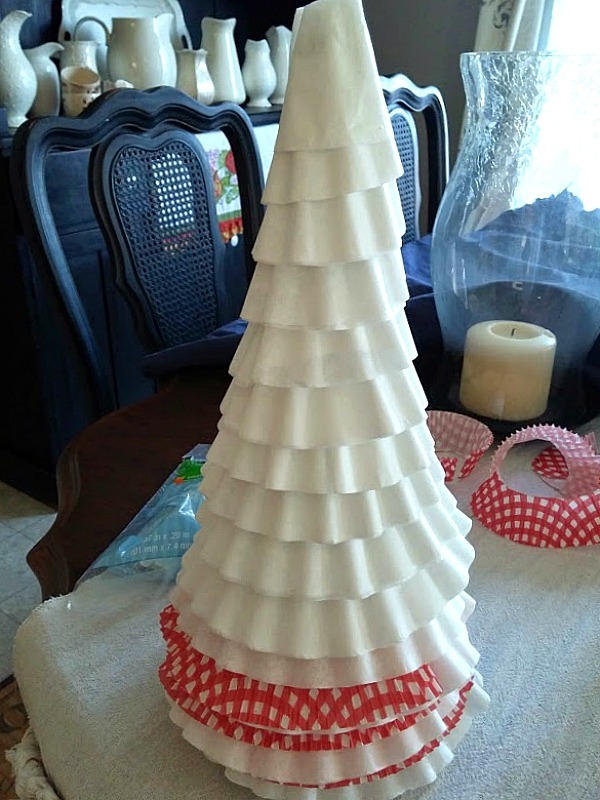 Tip: don't attach the cupcake liners to the actual tree...glue them to the coffee filter layer that they'll be above (because the filters are much deeper in width, you won't be able to see the gingham liners if you glue them to the actual tree base). You can stop there, or do like I did and add some glitter and 'berries'. The glitter glue was added first, around the edges of the white filters, and allowed to dry before I added the berries. I simply cut the beads off of about three berry picks and glued them on in clusters. Next, paint a small terra cotta pot with black chalkboard paint. Once that's dry, insert floral foam into the pot. Stick the dowel rod into the middle of the tree, going up about 2/3s of the way (so it won't wobble), and then down into the foam in the pot. This will create the look of a planted tree. I wrapped my 'tree trunk' with jute twine and hot glued moss around the base to cover the floral foam. I also covered the base of the tree with a circle of white felt. You can see all the layers here. Then I jazzed it up a bit by adding a greenery pick in the base. 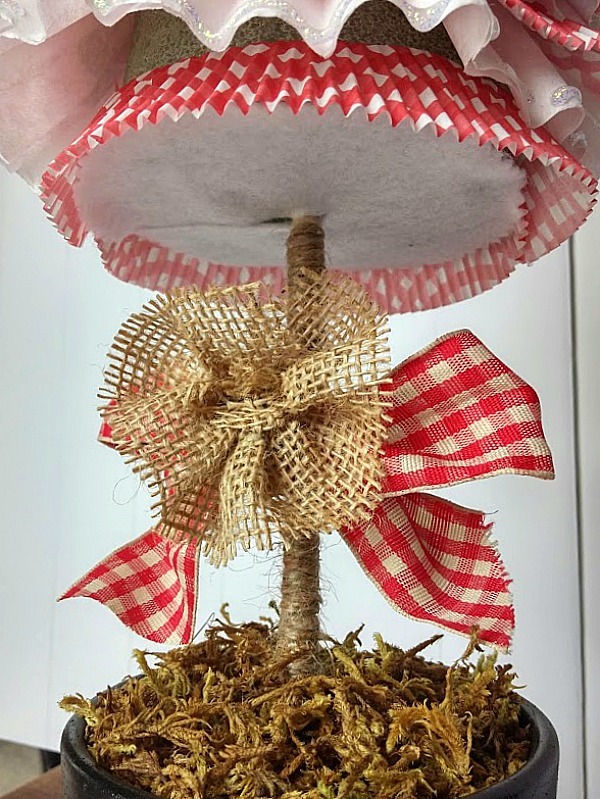 And because I can never leave well enough alone, I added a gingham bow and glued on a burlap flower and some jingle bells. Using chalk I drew leaves around the pot and wrote the words 'Merry'. It was difficult to get a picture of the whole tree because it's quite tall. Definitely a Merry craft and something to treasure for years to come! Love this? 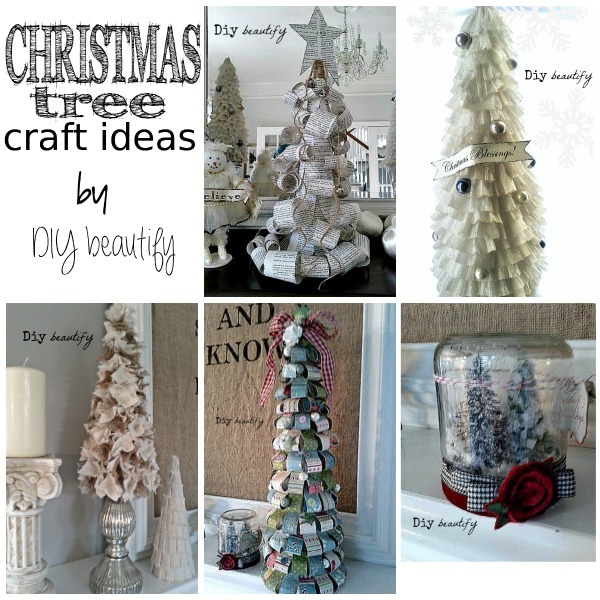 Want more DIY Christmas Tree ideas? This turned out so cute, I'm doing it! Cindy, this is so so cute! I've seen so many cool patterned cupcake liners lately that you've got my wheels turning about the fun little Christmas trees I could create. Thanks for sharing your project on Best of the Nest! Thanks so much Kris! It's a fun and simple way to create cute trees, I hope you love yours! I love red and white Christmas. These are so cute. I love the coffee filter addition. Thank you Heather! Even though I've changed up my Christmas decor in years past, red and white remains such a classic and just makes me happy! 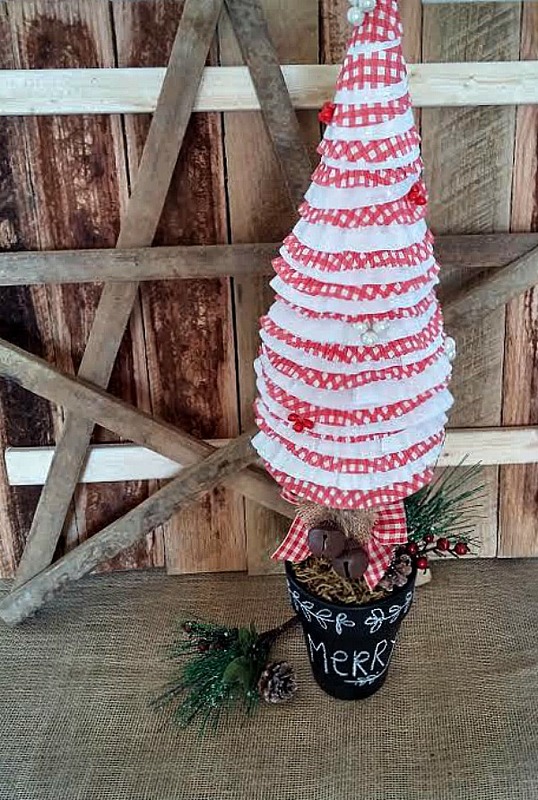 What a fun project Cindy and it looks so festive. I'm delighted to be featuring it at Shabbilicious Friday tomorrow. I love this! It's adorable! I am so inspired! 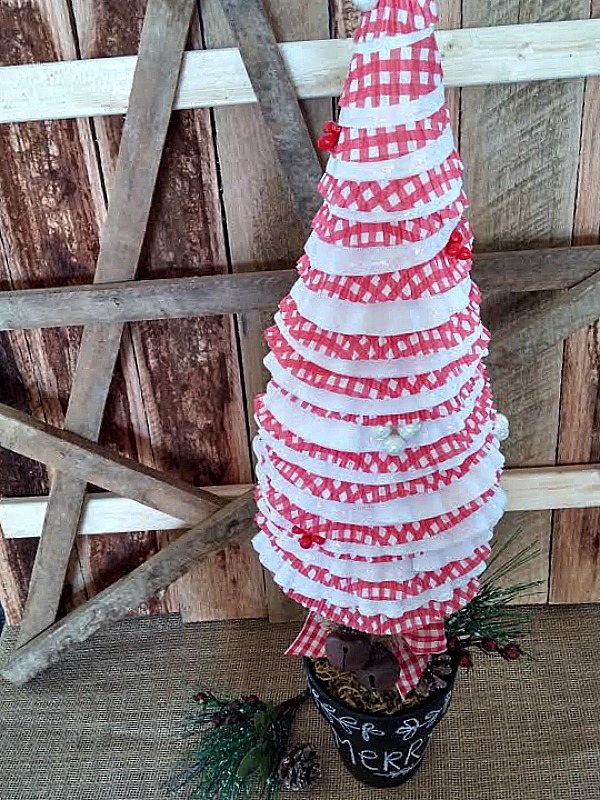 I love that crepe paper tree too! So glad I inspired you Carolyn! Adorable! Love the gingham. Thank you for sharing it and your sweet cloche at What We Accomplished Wednesdays. Have a merry Christmas season!